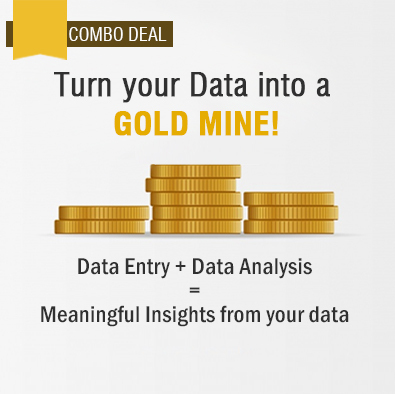 How to Solve the Manual Data Entry Challenges? Manual data entry can be a very tricky and time-consuming process for any business organization. Though the need of manual information entry is reducing with every passing year, there are still a lot of companies that depend on this to carry out numerous day-to-day activities. As the data processing needs of a company increases, there comes a point when the company will not be able to cope up with it. Security measures are difficult to implement in such situations and the errors are bound to creep in, while carrying out in-house manual data entry. In this article, we have listed some of the ways to tackle the major data entry challenges faced by companies worldwide. Many organizations still depend on manual data entry to enter consumer information into their systems. Staff education can go a long way and help to improve the data accuracy levels. Resources should be made aware of the importance of data accuracy and how the data will be used in the future by the business. This will make them realize the importance of their work and helps in reducing the number of errors considerably. Data entry is a time-consuming process hence the data to be entered must be thoroughly analyzed to avoid any kind of data redundancy. This step ensures that only the required and useful data is entered, stored and processed. By doing a periodic review of the documents being entered, the number of repetitions can be reduced, time can be saved, and errors can be minimized. Verifying the data as and when it enters the system can help businesses to maintain accurate lists for a short time. However, in the long run, there are frequent changes in the data such as changes in the address and other information, which need to be updated regularly to maintain the accuracy of the data. Therefore, regularly verifying and updating the data to maintain list hygiene will ensure the expected level of data accuracy and quality. Before correcting the human errors, businesses should first understand the means by which information enters their systems. This includes analyzing whether the consumer data was collected at the point of sale, whether the sales team enters the consumer data, or whether the consumers enter their own data. Considering all these points companies need to prioritize channels and create a full data workflow. Having a standard manual data entry process in place can help in reducing the number of errors in the information entered. This step also helps in maintaining consistency in the data and ensuring compliance of the data. This is a prerequisite to the automation process. Constant monitoring of the results helps in making the processes better and analyze whether the changes made have a positive impact or not. It also helps to prevent repeated mistakes which are very common in the manual data entry process. There should be a system in place which helps to use the feedback process in a constructive manner. Manual data entry process can be a time consuming and resource intensive process for any company which leads to inconsistent, incomplete, and non-compliant data in the database. Automation of the data entry process can be done using technologies such as OCR, IMR, or any complete automation package. This step helps companies to reduce costs and save a lot of time. How to Avoid the Problem of Data Re-entry? If there are two data systems which are inter dependent on each other, you need to avoid using them simultaneously. Even if one system is functioning correctly, it may not be merging with the other data system and might require re-entering of the data again. Field employees usually record their time sheets manually on paper and then send it across to some other staff to enter this data into the system. Some of the employees might not have good handwriting and when the data is being entered by another employee it may be entered incorrectly and have an impact on their pay check. Hence, such employees should be allowed to enter their own data into the systems to avoid data re-entry. Excel is a tool which provides the users with a whole lot of macros, functions, and the ability to add formulas. Even a slight mistake in any single cell of the spreadsheet can have a domino effect and ruin the entire table. This will lead to the user having to enter the entire set of data again. Outsource2india is a leading outsourcing company offering a comprehensive range of data entry services, including data conversion services. We have been in the industry for over 20 years now and have successfully served some of the top global companies across various industry sectors. Our top-quality data entry processes are scalable and we have the required bandwidth to scale-up or scale-down based on your requirements. We leverage the latest and advanced data entry tools to provide our services at affordable rates within quick turnaround time. 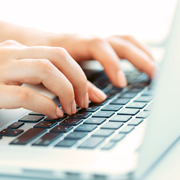 So, if you are in search of quick and efficient data entry services, then look no further. Just get in touch with us today!